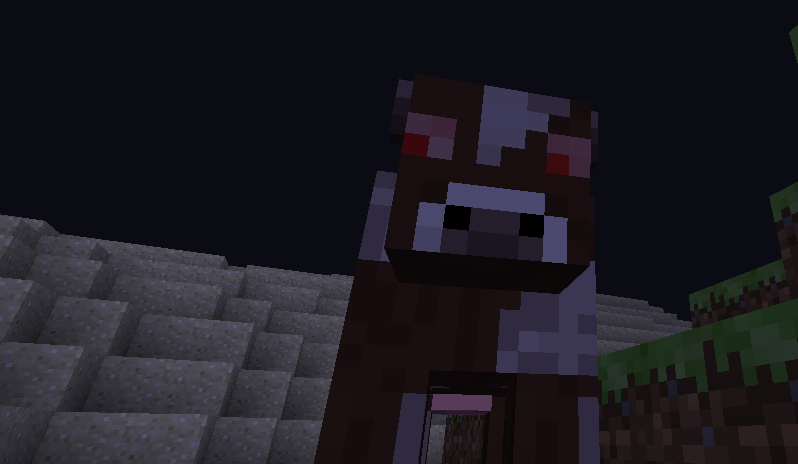 AngryMobs is a new mod that will spawn hostile chickens, pigs, cows and sheep at night that will attack you and other animals of their kind. Because they are harder to kill, they will drop 3-5 of their cooked meat and a chance of dropping a Shard of Anger if you kill them, and mobs that they kill will also drop normal amounts of meat, so you could set these up as a mob farm. Fixed AI bug, Angry mobs are now prioritized to attack mobs. Fixed bug with Angry Sheep spawn egg colour.